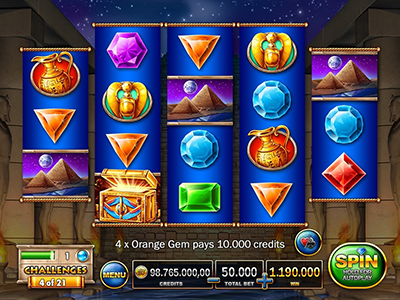 Welcome to the Pharaoh´s Treasure Collection! To find the best players in the realm, the Pharaoh has once again set up 21 brand new challenges to separate the wheat from the chaff. Precious gifts will be granted. Collect the Blue Marbles to trigger the special feature and swap symbols on the reel for another chance to win. 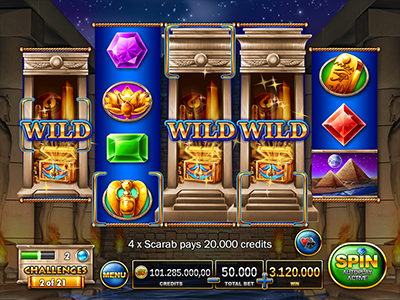 When playing the Treasure Collection, tap the meter in the lower left corner to learn more! 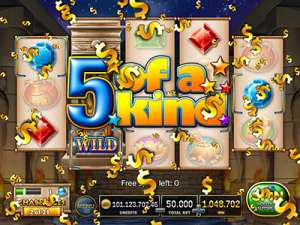 This slot has a minimum bet of 50.000 credits. There are 576 ways to win! 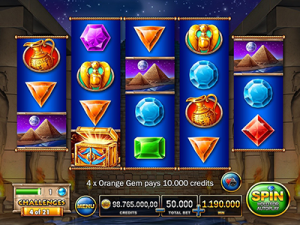 3 “Pyramids” symbols trigger this bonus. 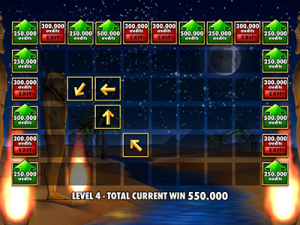 Choose one of the arrows to find your way to big wins! 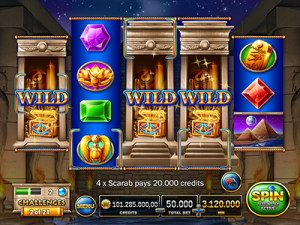 Play up to 9 levels with ever increasing wins! 3 “Temple” symbols trigger this bonus. 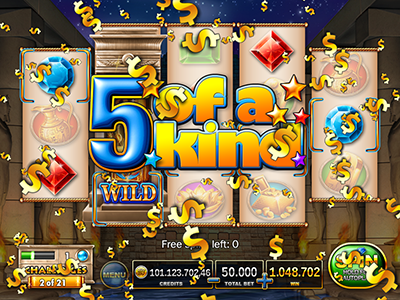 Play 10 free spins on special reels!